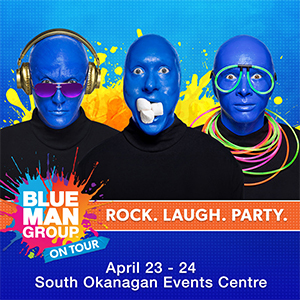 If you’re ready to rock out at the South Okanagan Events Centre (SOEC), we’ll see you soon! Here’s what you need to know about your experience. Our venue and staff meet and exceeds all public facility structural and service requirements. Visit our Accessibility page for more information. Will call tickets are available for pick up two weeks prior to the event. The Valley First Box Office (at the SOEC) is open Monday to Saturday, 10:00 a.m. to 5:00 p.m. On event days, the Box Office is open from 10AM until the artist takes the stage and the start of the third period. Wheelchair escorts are provided through our event services department. Please ask any staff member for assistance. To arrange services in advance, please call 250.490.2460. We strictly prohibit ticket scalping and ticket resale on the premises. Grilling, open flames, food preparation, and consumption of alcoholic beverages are not permitted in any parking areas. Please see staff at the Valley First Guest Services, near Section 101. Staff will gladly check your stroller. Guests with hearing disabilities can receive sign language interpretation. Requests for this service must be received 30 days prior to the event and be approved by the performer. For details, please call 250.490.2460. Men’s, women’s and unisex family restrooms are located in the corners of every concourse. Don’t worry, all restrooms meet or exceed CDA specifications. ► alcoholic beverages, illegal drugs, vapes, e-cigarettes, food, drinks, glass/plastic/metal containers, video recorders, audio recorders, fireworks, laser pointers, backpacks, coolers, knives over 5 inches in length, weapons of any type, baby seats or carriers, unauthorized noise makers, glitter, confetti, Frisbees, streamers, helium balloons, beach balls, parcels or packages, inflatables, large bags of any kind and cameras with lenses four inches in length. For concerts and events at the SOEC, parking is $10 cash only. For more information about pay and display parking, click here. We reserve the right to refuse admittance to any event if a guest has exposed, painted body parts. Guests are asked to wear shirts, pants, and shoes at all times. Please refrain from painting backs, which will damage SOEC property. The selling or sampling of merchandise, food, beverages, tickets or other items on the property without written SOEC authorization is strictly prohibited. During an event, if you lose a personal item, please speak with an employee. Found items are to be turned in to Valley First Guest Service desk. Our lost and found department can be reached at 250.490.2460. The SOEC is not responsible for lost items. Found items are held for 30 days. Our ushers and front of house staff are trained to make your experience memorable. The SOEC offers convenient services including wheelchair assistance, lost and found, and stroller and wheelchair check-in. Look for employees wearing burgundy shirts and name tags. They’ll gladly help. Upon entrance at Gate 1, the Valley First Guest Services is open from doors to exit. The SOEC offers a wide variety of food and beverage services. Guests are not permitted to bring any food or beverages into the venue. Containers such as bottles, cans, thermos bottles, or plastic coolers are not permitted, as the safety and protection of our guests is a top priority. Choose from six concessions and a full-service restaurant, the Valley First Vault Bar & Grill, or suite service. Certified medical professionals are available at all events to assist guests with medical needs. Guests in need of emergency first aid should contact the nearest SOEC employee for assistance, or at the Valley First Guest Services desk. Ear plugs are available, for your use and convenience, at the Valley First Guest Services near Section 101. We’re committed to providing the highest standard of safety. Emergency response procedures have been developed to address an emergency or crisis that might affect the arena operation. Staff have been trained to assist in emergency situations. In the case of an emergency, please proceed to the nearest stairwell; head down to the street level and out of the building. Visual and audible alarms are located throughout the building for use in the event of an emergency. Drop-off and/or pick-up patrons on the South side at Gate 1. Limousines, buses and cars will be allowed to drop-off and pick-up in this area, but vehicles are not permitted to park there. Doors open one hour prior to puck drop. 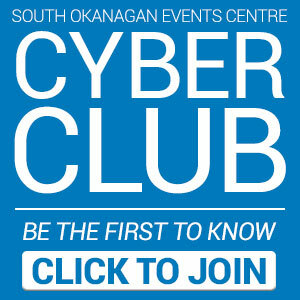 For Penticton Toyota Club Seat Membership Program doors open one and a half hour prior to game time for dinner reservations. Doors open one hour prior to the event unless otherwise specifically noted. Professional cameras are prohibited at all events in the SOEC unless you’ve got the appropriate media credentials.Cameras with detachable lenses are NOT allowed. Video cameras and audio recorders are prohibited in the SOEC, unless specifically approved. Please check in advance by calling 250.490.2460.Restrictions on the use of still and video cameras vary by event. The event producer determines this policy. Some sporting events permit still cameras without flash, but not recording devices. Concerts typically do not permit any cameras or recording devices (audio or video). The Valley First Box Office at the SOEC is open Monday to Friday 10:00AM to 5:00PM. On event days, the Box Office is open from 10AM until the artist takes the stage and the start of the third period. Click here for more information. Small signs are allowed, but larger signs with sticks or poles aren’t permitted. Banners and signs may not be hung or fastened anywhere in the arena. Banners and signs must not be commercial in nature or obscene, or cause any disturbance with other fans. SOEC management reserves the right to remove any banner or sign without exception. Animals or pets are prohibited, with the exception of service animals for guests with disabilities. Service animals must remain on a leash or in a harness at all times. If you’re service animal will be joining you, please notify your ticket representative at the time of purchase. That way, we’ll do our best to reserve an aisle seat for you. No alcohol may be brought into the SOEC. Alcoholic beverages may be purchased inside the arena. All persons must be age 19 or older and provide legal identification to purchase alcoholic beverages. Alcohol purchases are limited to two (2) beverages per buyer for most events. Management has the right to refuse service at any time. Alcohol sales can be terminated at any time at management’s discretion. We have three ATMS. Two of the ATMs are located outside the Valley First Vault Bar & Grill and the other ATM is on the concourse by Section 108. Our administration office is open Monday to Friday, from 9:00 a.m. to 4:30 p.m. Contact us at (250)490-2460 or at soec-guestservices@penticton.ca. Please check in with the Valley First Box Office (at the SOEC), if you have hours or wish to speak with someone from the office.